It is with great pleasure that we will welcome Ankita Chachra as our third keynote speaker to this month’s Child and the City World Conference 2018. An acclaimed urban designer, few are better placed than Ankita to offer such a unique and inspiring perspective of design guidance that is child-focused. She works with the Global Designing Cities Initiative, and her work in applying strategies and tools from the Global Street Design Guide, a worldwide standard for the redesigning of streets and public spaces, is well-documented. But from where does she draw her inspiration? Ahead of the conference, Ankita spoke to CiTC to share her ethos. CiTC: As an urban designer, how you would you define your role? AC: “Contrary to the commonly used definition of an urban designer’s role – i.e. ‘someone that designs and shapes the physical environment in cities’ – as an urban designer one functions between blurred boundaries of politics, public realm, architecture, landscape, environment, social infrastructure, public health, community engagement and multiple other fields that shape a city. It is essential for an urban designer to understand, question, re-think and design the ‘system’ that allows cities to be healthy, equitable and prosperous. How and why is the process of designing a city about more than just bricks and mortar? “Bricks and mortar provide the shell for a city, but it’s people that make the city. A city is more than just its physical environment; it is a representation of its politics, public places, social infrastructure, culture, and multiple urban systems. Designing a city requires thinking of various scales that effect how people experience the city, for example, when considering a city’s streets, an urban designer needs to be able to comprehend the detail of sidewalk widths, kerb and accessibility ramps, and at the same time be able to acknowledge large-scale networks that connect the sidewalks and provide people access. How far away are we from a scenario where national and local governments automatically put children’s needs at the heart of the urban decision-making process, and are not just a ‘bolted-on’ afterthought? “Globally, I think we still have a long way to go. Around 500 children are dying every day due to road traffic violence, over 41 million children under the age of five are estimated to be overweight due to lack of physical activity and access to nutrition, and some 235 million people are suffering from asthma, of which young children make up a significant percentage. A lot of the risk factors for these challenges can be addressed at the city planning and design level, but we continue to ignore this urgent call for change. “On the bright side, we have cities like Bogota, Tirana, London, Toronto and a few others that are prioritising the needs of children and the elderly in their decision-making, by implementing programs and policies that focus on their needs. They are willing to re-work their mobility choices, housing policies, public spaces, and other services in ways that are successful in attracting parents, young families and children. Ask a young person what they want a city to be and they may well come up with something truly leftfield. So, how important is flexibility in the design process and what is the true value in letting young people tell us about what they need to be able to live safely and securely? How do we best engage – be it face to face or online – with them and their communities? “For many years now, designers/planners/practitioners have distanced and separated themselves from the users. Use of words like ‘them’ versus ‘us’ dictate the discussions. However, the real value lies in understanding that ‘we’ are all on the same team. Users, in this case, young people, know what they need. The end goal of the engagement process should be to achieve a design that serves their interest by providing them with options to choose from. You’ve been involved in urban planning projects across the world. Can you share any examples of where different cultural, political and societal nuances influence urban planning? And what are the critical questions that ALL city policymakers and planners – whatever country it may be – need to ask when mapping out child-friendly cities? “Socio-cultural, political and social nuances strongly influence the public realm. In many contexts, even daily activities like commuting to school, running errands, or otherwise traveling around a city are often unpleasant and stressful, with children and their caretakers exposed to speeding traffic, hazardous obstacles on sidewalks that force them to walk on the road, and unhealthy vehicle pollution, all negatively impacting their physical and mental wellbeing. “Streets are the most extensive network of public space in cities and can make up to 30 per cent of the city’s total area. This valuable real estate offers a huge potential to transform our cities and consider the needs of children and their caregivers. You were one of the authors of the National Association of City Transportation Officials’ (NACTO) Global Street Design Guide. It is made clear early on that the goal is to ‘empower communities to design streets that put people first’. For cities whose existing infrastructure has long been geared towards the mobility of car users and businesses, how do do they start to rethink policies? Is it a case of literally going back to the drawing board? “The traditional street design places cars at the top of the pyramid, giving them a higher preference over every other mode of transportation while forcing pedestrians, cyclists, and buses to dangerously and often helplessly fight for space. The Global Street Design Guide flips this standard, by prioritising people and transit, and adapting the street to meet their needs and not the needs of cars. It’s all about shifting priorities and ensuring that streets serve people, especially children and the elderly, who should always be at the heart of all design decisions. What do you see as the main way in which events like Child in the City World Conference 2018 can help make a tangible difference to future planning? Finally, if you could choose just one key message for delegates to take away from your presentation this month, what would it be? Child in the City World Conference takes place in Vienna from September 24-26. 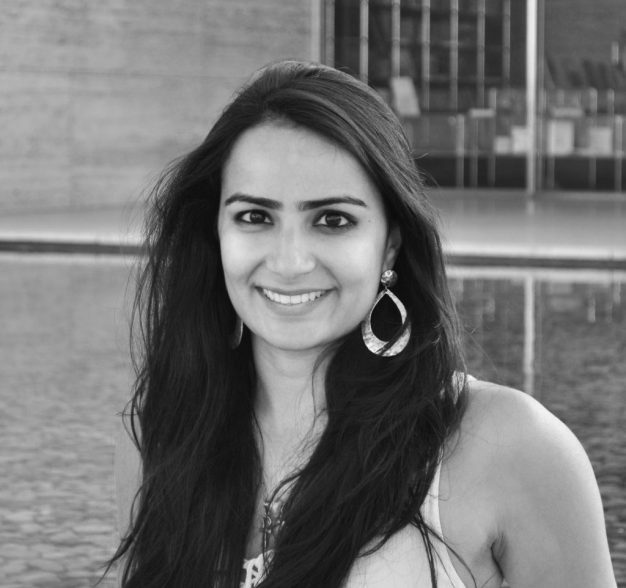 Ankita Chachra’s keynote presentation is on Monday September 24, starting at 1.45pm. There is still time to book your place – view the full programme and register here.